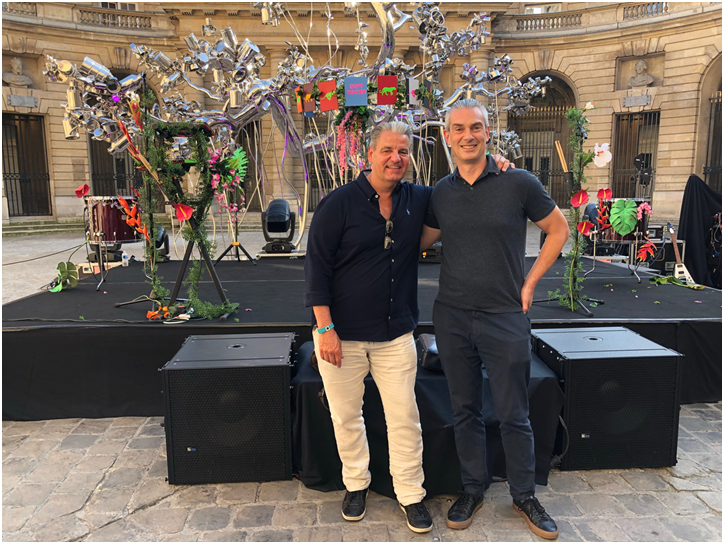 Michel Petre (l) and Patrick Moxey (r) as photographed standing at La Monnaie Museum in Paris in front of Sofi Tukker’ stage set-up for the “Treehouse” tour and the Tree sculpture from visual artist Subodh Gupta from recycled materials. Courtesy of Ultra Music. Today, July 2, major independent label Ultra Records bolsters its operations in Scandinavia with the appointment of music industry veteran Michel Petré as the helm. Petré started his music career 44 years ago in one of Stockholm’s first import record stores. He has a long-standing career of gold and multiplatinum awarded hits and artists throughouthis career. Petré has started record shops and record labels, held senior positions at Edel Music, Ministry of Sound and for the past 13 years at his co-owned Family Tree Music that recently was acquired by Sony Music. Petré will be strengthening artist signings and finding new exciting talent from the Nordics as well as hits from abroad. Ultra Records is one of the world’s major independent labels, with a strategic alliance with Sony Music. Formed in New York City in 1995 by former Polygram and Virgin Records executive Patrick Moxey, Ultra Records’ current roster includes: Kygo, Steve Aoki, Sofi Tukker, Bakermat, Klingande, Black Coffee, Flosstradamus, Benny Benassi, Omi,Loco Dice,Mako, Bearson, I Do, and many more. Ultra Records has featured releases from the aforementioned artists and many others including Tiësto, deadmau5, Kaskade, Avicii, David Guetta, Paul Oakenfold, Pitbull, Sasha & John Digweed, and others. Ultra’s Youtube channel has over 13 million subscribers and has had over 8 billion video views.